Should TSA Fire Staffers After 11 Passengers Weren’t Screened at JFK Airport? Eleven passengers managed to get past a checking point at JFK Airport without being screened last week, prompting outrage from law enforcement. 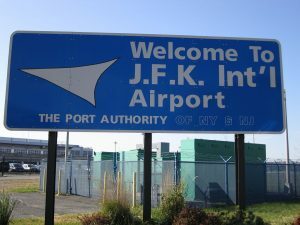 Although three of those passengers set off a metal-detector alarm, they were able to walk on without the TSA alerting Port Authority police for two hours. 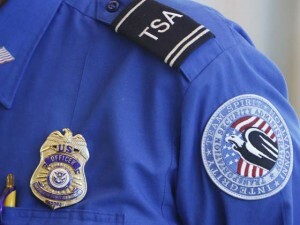 The TSA pledged to take “appropriate action” against the responsible workers. In an editorial last week, the New York Post called for the termination of the employees involved. Private-sector workers who mess up so badly as to put lives in jeopardy would be gone in a heartbeat. Heck, they’d be fired for far less serious breaches. Posted: February 27th, 2017 under News Story. Lawmakers are offering potential solutions to long wait times at airport. After Sen. Chuck Schumer, D-NY, suggested $28 million in extra funding for three busy northeast airports, another lawmaker suggesting adding private screeners. The Hill reports that Rep. Diane Black, R-Tenn., wants the TSA to use more private screeners. Of the 472 commercial airports, only 22 have help from private contractors. Black also wants a realistic cost of private contractors. “Congress can’t keep throwing taxpayer money at a broken agency that, by every metric, is failing our travelers, without demanding reform,” Black said. Posted: June 2nd, 2016 under News Story. 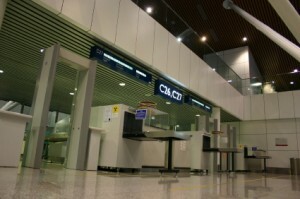 After the Sept. 11, 2011, terrorist attacks, airport lines have become longer and more unpredictable. 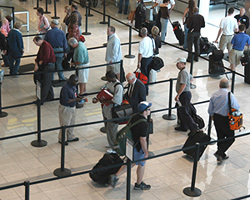 Recently, pressure has been placed on airport screeners to speed up the process when lines get too long. 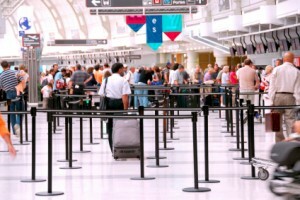 But TSA Administrator Peter Neffenger said it should not be the job of screeners to speed up the pace. They’re focus, he said, should be on security, the Associated Press reports. TSA officials, not screeners, should worry about the length of the lines, he said. Posted: October 13th, 2015 under News Story. Two Denver airport security screeners who were fired after being accused of fondling attractive male passengers will not be charged, NBC News reports. The TSA screeners, a man and a woman, were fired in April following a six-month investigation by the TSA, which alerted Denver police to the allegations in March. But Monday, the Denver district attorney’s office said investigators were unable to prove that one of the screeners was working at the time of the alleged incidents. The male screener was accused of signaling to the female screener when an attractive man was approaching. The female passenger was then accused of patting down the passenger’s groin by signaling to the machine that the passenger was a woman. Posted: July 8th, 2015 under News Story. Posted: June 15th, 2015 under News Story.